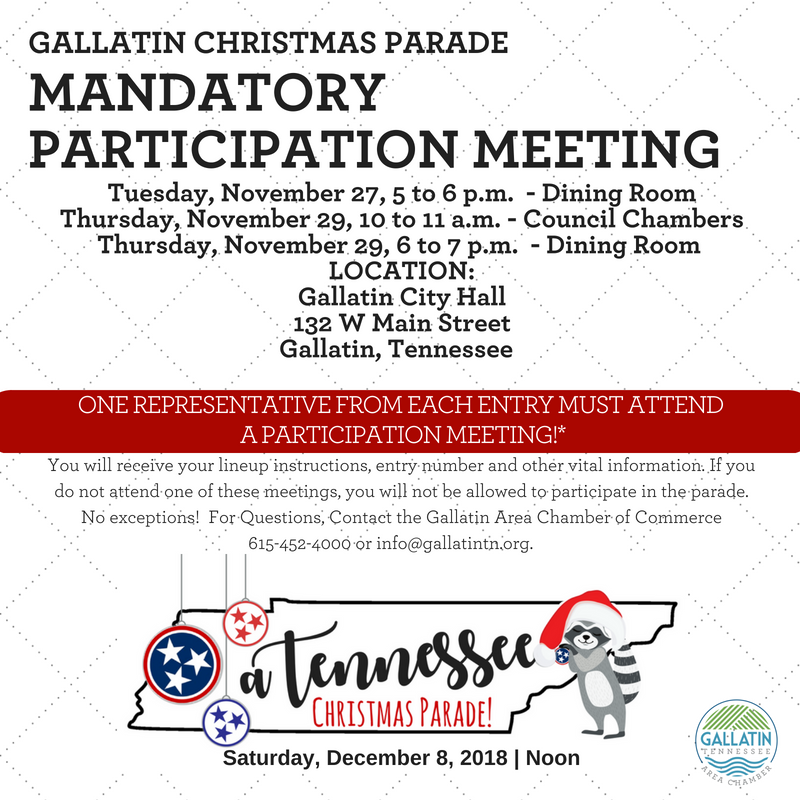 If you signed up to be in the Gallatin Christmas Parade on Saturday, December 8, 2018, a representative from your parade entry MUST attend one of three Mandatory Participation Meetings. You will receive your lineup instructions, entry number and other vital information. If you do not attend one of these meetings, you will not be allowed to participate in the parade. No exceptions! For questions, contact the Gallatin Chamber of Commerce at 615-452-4000 or email info@gallatintn.org. One Representative From Each Entry Must Attend One of These Meetings! Failure to attend excludes you from the parade. No exceptions.